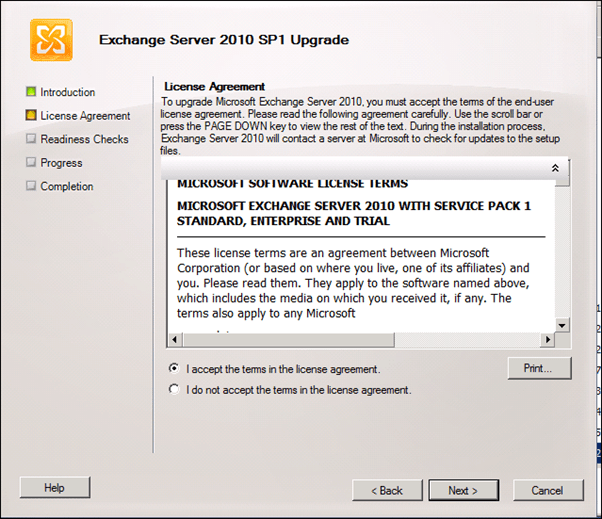 Answer: Now that Exchange Server 2010 SP1 is out many admins would like to take advantage of the new feature that comes with it. 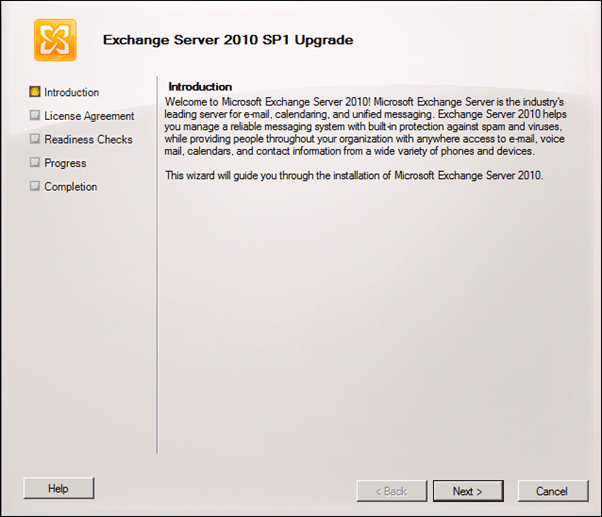 So we decided to create a little article about how to upgrade Exchange Server 2010 to SP1. 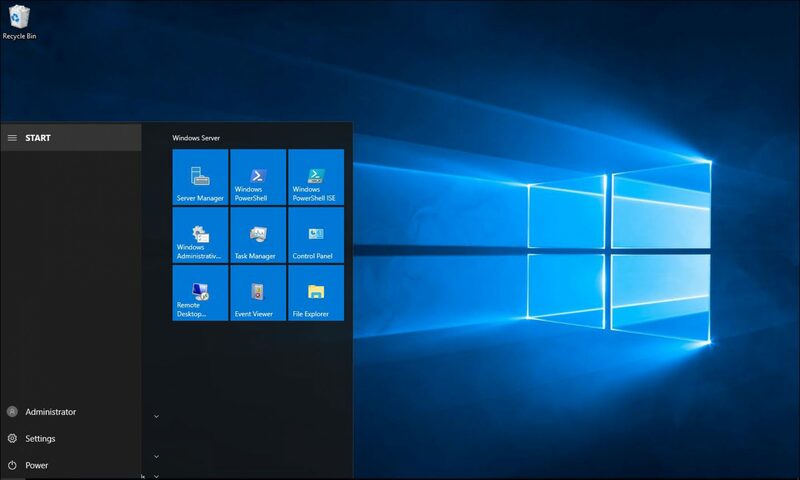 Run the .EXE file and Extrect the files to temp location. After all files have been extracted go to the temp location and start Setup.exe. 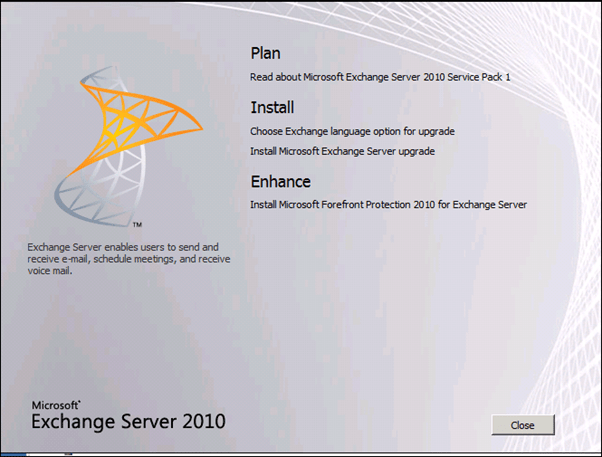 The first step is to install the Language option, once done click on Install Microsoft Exchange Server upgrade. 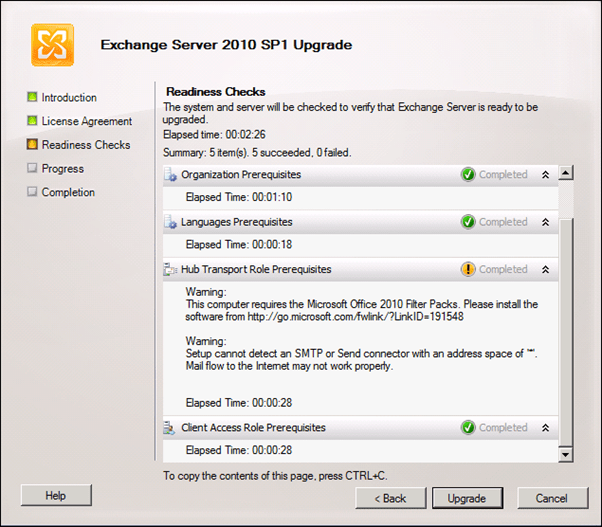 After accepting the license terms you will see the Readiness Checks screen which will check if all updates are installed. If all updates are installed you will be able to go to the next step which is the actual Upgrade. (Please note that in my screen there is a warning duo to the fact that I’m doing this in a testing lab). The upgrade will take around 20 to 30 minutes to complete. Once completed click on Finish and restart the server.